My love affair with 2012 continues. And since I am not adverse to short clips, snippets and soundbites where G.O is concerned, I am fully satisfied with my choice for today’s Fan-Camming Friday even though it clocks in at under a minute. You know my creed: Any time spent watching and/or listening to G.O is time well-spent, no matter how long or short. So back to May 2012 then when MBLAQ performed at the Kyunghee Cyber University Festival and a little focused cam during the closing moments of Oh Yeah. 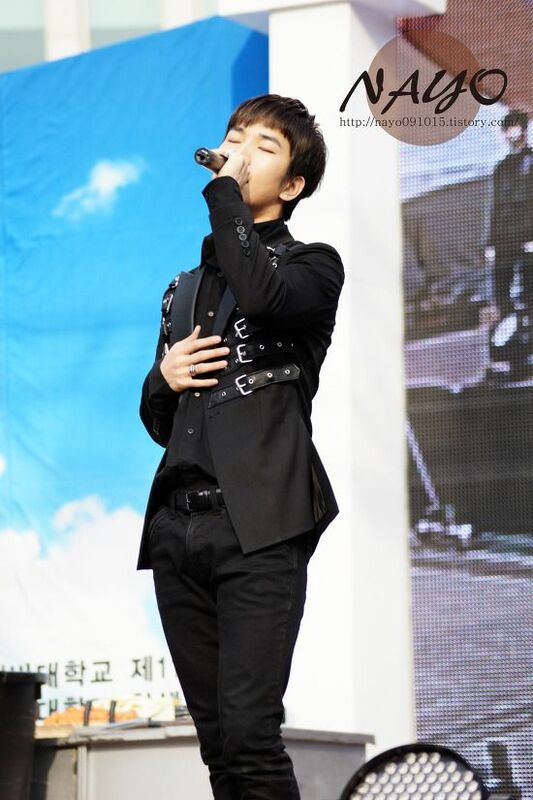 Categories: G.O Military Discharge, MBLAQ Musings, The G.O Files | Tags: Countdown To Discharge, G.O, G.O images, G.O in concert, G.O Live On Stage, G.O's Suit Style, 정병희, 지오, Jung Byung Hee, Jung Byung Hee images, Korean entertainment, Kyunghee Cyber University, Kyunghee Cyber University Festival, MBLAQ G.O, MBLAQ G.O images, MBLAQ G.O in concert, MBLAQ G.O Live on Stage, MBLAQ G.O's Suit Style | Permalink.